Coloradans have a special opportunity this election cycle. Residents of our state overwhelmingly supported Proposition 108 last year, which allows unaffiliated voters to participate in party primaries. The new law allows political parties to opt out of the open primary process. The Colorado Republican Central Committee will decide on Sept. 23 whether Republicans will have an open primary or disregard Proposition 108 and have a primary restricted to registered Republicans. As an elected Republican, I joined the chairmen of the Republican and Democratic parties in opposing this measure. I argued that Coloradans should preserve their right to free association, allowing party members to select their own nominees. But Colorado voters in large number disagreed with me, and I respect their decision. Now Republicans must seize this outcome as an opportunity - to grow our party and to advance our principles around the state. We should use the open primary process as a chance to expand our party's appeal. If unaffiliated voters participate in our primary elections, we should work hard to share our core values with these new voters. We have a compelling message. We believe in limited government, job creation, border security and budget balancing. We believe in liberty and freedom for Coloradans. We believe in the rule of law and the Constitution. Our party has a proud history of fighting for these values. Abraham Lincoln fought to erase the stain of slavery from our great nation. Teddy Roosevelt busted trusts to end crony capitalism and corporate collusion. Ronald Reagan tore down oppressive orthodoxies - from the Berlin Wall to the marginal tax rate. If strong conservative candidates in our party can't articulate a message that appeals to unaffiliated voters in a primary election, then how can we expect Republicans to win general elections? Fears of unaffiliated voters, possibly influenced subversively by Democrat operatives, throwing Republican primary elections to ideologically and politically weak candidates only belies a lack of confidence in the broad appeal of our values and vision for America. Limited government can promote liberty and compassion at the same time. Lower taxes can help businesses and the middle-class simultaneously. Border security can serve to both protect American citizens and strengthen the integrity of a strong legal immigration system. We have a compelling message. We just need people to hear it. Moreover, the voters used Proposition 108 to send a message to Colorado's political parties. They don't want a small minority of party insiders choosing their candidates. An open primary process makes the selection of our nominees more transparent. To toss out the results of that election would send a message of arrogance and collusion to all Coloradans. We must rather affirm the decision of Colorado voters to open our primary process and support the results, proving that Republicans can listen to the will of our citizens. After the 2016 election cycle, many Americans have begun reassessing the value of political parties. We're already seeing voters across the country denounce their party affiliations. According to numbers from the Secretary of State's Office, in the past month Colorado has added more than 25,000 voters. More than half of these new registrants filed as Independents. Republicans want those new unaffiliated voters to support our values, even if they don't want the "R" after their name. To be sure, the effects of Proposition 108 should in no way minimize the importance of the grassroots in our nomination process. These individuals who we call the "grassroots" of our party have long kept us grounded, and I'm confident they will continue to play an important role in vetting candidates as they narrow the field of nominees for the primary ballot through our assembly process. We have a solid set of candidates running for several offices in Colorado, and I'm confident in their ability to grow our party's appeal. I urge you to support them and to uphold our state's new constitutionally mandated primary election process. Let's use this opportunity to share the Republican vision and persuade Coloradans, no matter their party affiliation, to join us on this journey towards a better state and a better nation. 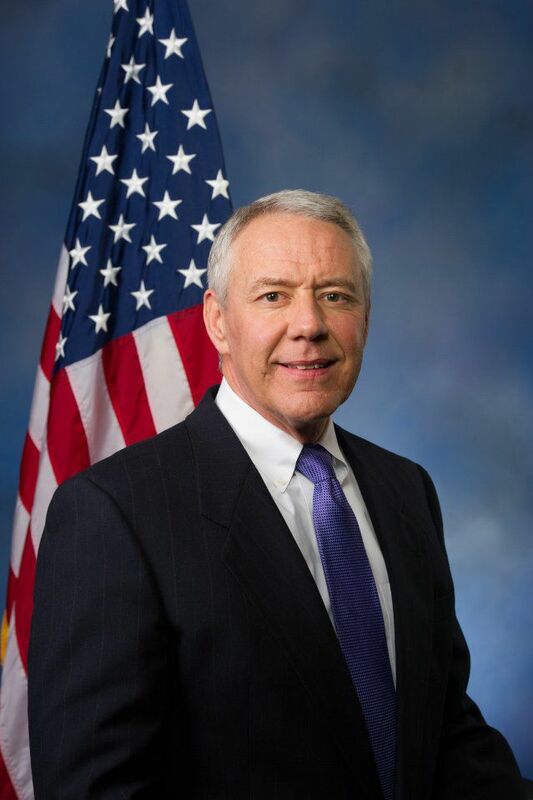 Ken Buck is a congressman representing Colorado's 4th Congressional District.